Of course, I'm not completely weird. I like this album but also note that it's prone to giving me extreme headaches if I'm not careful enough. Apparently, Can's record company wasn't being careful enough when they listened to this album, because they rejected it when it was presented to them in 1968. It was originally called Prepared to Meet Thy Pnoom, and it wasn't until 1981 when it was released. Anyway, you're going to have to be a huge Velvet Underground fan if you are ever going to like this album. It has that same sort of artsy-garage type feel to it. It's sloppy all around, but interesting and ways that I couldn't quite pinpoint at first. In may ways, this is even more "out there" than the Velvet Underground, although that statement is definitely arguable. This album comes out of the beginnings of the Kraut-rock movement (it's OK for me to say "Kraut" --- I'm 25 percent German, and that's how we talk to each other), and Can proved to be one of the pivotal innovators for the genre. Naturally, this album wasn't innovative because nobody heard it until 1981. I'm talking about some of the albums they would release in the early '70s. Weird stuff. 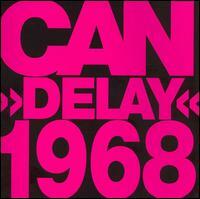 But let's talk more about Delay 1968. This is basically top art-garage music that you're going to hear. One of its downfalls is also one of its strengths --- the sloppiness. You might also think it's lazy at first glance. Well, maybe it was, but not when you hear tracks like "Butterfly" that seems rather repetitive, but it has constantly changing instrumental rhythms. "Nineteen Century Man" is one of the best, most rockingest numbers on here with the best examples of their guitar. Easily the best actual composition is "Thief," which has a genuinely usual chord progression that generates some momentum. (They're so repetitive, but when they have something like that, well the possibilities are endless...) The closing track "Little Star of Bethlehem" is probably the most accessible and pleasant of the album, but they hardly let the listener off easily. I also have to note that listening to that bass-line reminds me a bit of the Talking Heads!!! "Man Named Joe" annoys the hell out of me, and I know that it's supposed to be a joke. Germans are very funny people. Most of the time in ways that they only think is funny. Anyway. And there's "Uphill" that's the only track that genuinely strikes me as being too monotonous. Just note that Can is only for the strong-of-heart. This is an interesting archival release that's basically a must for everyone who enjoys their far more technical (and non-garagey) work in Future Days and Tago Mago. Maybe you won't just like it out of curiosity or completists' sake, but you'll also probably enjoy it. These guys definitely don't make it easy on their listeners. 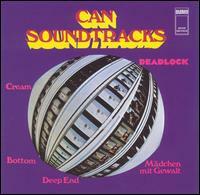 In Can's first official release (though Delay 1968 might have been recorded earlier), they reportedly spent HOURS in the recording studio just jamming away, and what you see here are the edited highlights. Well, this music is definitely interesting --- they continue down the Velvet Underground inspired stuff that they already explored at length in that rejected album. 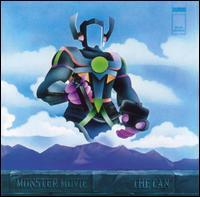 When you think about it, you wonder why that album was even rejected --- It was quite a bit more entertaining than Monster Movie. The first three tracks aren't actually that bad... You know, they're ugly, garagey Kraut-rock tunes. They value endless repetition while usually managing to insert some diversity to keep the effort from growing too plodding. Apart from a single, blistering guitar solo on "Father Cannot Yell," this stuff is usually middle-of-the-road material that's fit for weird audiences who eat up Kraut-rock no matter what platter it's being served on. This music is intentionally ugly, which is a problem for obvious reasons --- but, you know, it's a different kind of music, and some of it is very awesome. But not Monster Movie. Monster Movie fails to amaze me. Apart from that one instance in the opening track I mentioned, there's honestly nothing here. They don't actually annoy me, however, until the closing track "Yoo Doo Right." It's a 20-minute jam that's absolutely plodding --- It was reportedly edited from an entire six-hour jam. That amazes me considering they can't come up with enough ideas for three minutes. It's just an overly repetitive track consisting of endless loops, annoying vocals and sheer lack of creativity. You at least want weird music to be creative... If Can can't be overly creative, at least, and stop me in my tracks every once in awhile, then what's the point? Why do they expect me to sit through "Yoo Doo Right?" Are they trying to make me self-implode? 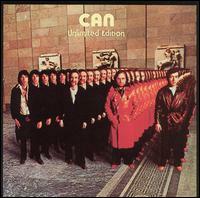 This album marks a major shift in Can that can only be seen as remarkably positive. The increasingly erratic and irritating vocals of Malcolm Mooney (who can still be seen butchering whatever was worth of "Soul Desert") with the more stable Japanese vocalist Damo Suzuki. I don't think anybody is a particular fan of Suzuki's vocals, but at least he's actually tolerable. Also, this isn't so much an album as a compilation of songs that this group cut for various obscure, art-house movie soundtracks hence the title. That's not to dismiss any of the other songs. "Deadlock" is a song that sounds to me like they were desperately emptying out their woe-ridden souls right there in the recording studio. Anyone who's interested in artistic rock music will definitely have to check out that song. It's freaking amazing. Also, "Mother Sky" is an utterly fantastic, 15-minute 'epic' that is a phenomenal improvement over their barely listenable 20-minute "Yoo Doo Right" from Monster Movie. In addition to "Deadlock," art-rock lovers would be at an extreme loss if they didn't also check out that one. It's not that difficult to get into, either, which is certainly a big perk. Perhaps the most bizarre move of the album is their choice to end it with a normal jazz tune, "She Brings the Rain," which features Mooney (in his only other performance) singing normally. If anything that proves the guy had some decent chops after all... Oh well, he's gone... The cool guitarist is thankfully given a few moments to shine, because he turns in a few beautiful performances. His blistering guitar in "Deadlock" is one of the main reasons that track was so memorable. It's no wonder he's one of the more notable guitarists in rock --- Well, he's more of a critical darling than publicly notable, unfortunately! Anyway, this is a fantastic album. It's certainly not for the average audience, but this also isn't obscure enough to lose anyone who's willing to give it a try. Can�s big breakthrough! They came together to create what�s apparently the world�s finest statement of outer space psychedelia! If that�s not true, it�s surely one of the world�s most out-there albums. It�s definitely weird. And this is weirdness for the everyman!! �OK, that�s not true, but this album is definitely ripe for anyone willing to give it a go. Luckily, Can tends to favor the use of catchy drum rhythms and bass-lines � this isn�t any sort of namby-pamby avant garde music whose only aim is to sound as out-there as possible. No, they seem to genuinely want you to like their music, and the proceedings are about as enjoyable as such experimental music gets. I was never particularly interested in being a rock historian, so I won�t comment extensively about this album�s historical value. It�s been said, however, that such genres as new wave, punk rock, rap arose in its wake. To the extent that any of that is true is debatable! However, this is one of rock�s most influential albums, and every true rock historian knows it by heart. I guess they put that to the test when they tried coming out with such nonsense as �Aumgn.� That�s 17 minutes worth of sound effects without the beat you can dance to. The result is that it�s quite a bit more difficult to enjoy although it�s not impossible. It could have been shorter, but I have to admit that there�s not too many dull moments there� and when it is dull, it makes up for it by being extra creepy. The worst song of the lot, to me, is quite clearly �Peking O.� That one�s just a little too weird even though it has its moments. At least they saved one of the best for last! �Bring Me Coffee or Tea� contains an amazing atmosphere that�s rarely ever to be topped! Furthermore it�s one of those songs with a drum line, so you�ll probably end up enjoying it � even if you think you won�t. This is tons more consistent than Tago Mago, but the best of that album easily beats out the best of Ege Bamyasi. So, technically, both albums are pretty close in terms of overall quality � but nobody cares about �technicalities� when art-rock is being judged. 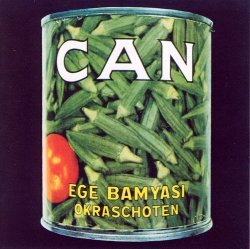 Of course you�d pick Tago Mago over Ege Bamyasi� right? Can�t you just remember the good moments and forget about the ickier ones??? Anyway, Can changed a bit with this release� Likely, they thought they could never top Tago Mago if they tried, so they didn�t try. What ensued is a much looser sound� almost reverting back to their Monster Movie days except they�re actually trying to be somewhat accessible. For the most part, all these songs contain a semi-danceable groove and their weird sound effects are kept to a relative minimum. �Pinch� starts things off, and it�s basically just a nine-minute groove with a squeaky violin in the background. �Well, it�s tons of fun as you�d expect such things to be! As you�d expect, the groove never gets old, and the development is varied and unpredictable enough to keep you on your toes. �Sing Swan Song� is an atmospheric and addictive ditty with another one of their interesting grooves� If nothing else, hear that song. �One More Night� and �Vitamin C� are also fantastic. Both also have a nice rhythm� you can surely hear the proto-new wave innovations there with the jerky beats! �Soup� is an interesting track� It starts out as a quiet, atmospheric thing and it turns into garage-rock. Both sections are just about as entertaining as those things get! The last half of it contains the only thing they get to a drum-less sound collage that they seem to try all over the place in Tago Mago (e.g. �Peking O�). �Soup� is surely easier to digest than �Peking O� not only because it�s shorter, but because it�s more furious! How else can you expect to feel after Damo Suzuki is yelling at you? I won�t say I like this better than the two previous Can records, but it�s surely more consistent, and probably a fair place to start collecting their albums� that is, if you�re not brave enough to go immediately into Tago Mago. When I first listened to this album (approximately three months ago), I had a rather unenthusiastic response. I thought it was unsubstantial. Future Days is clearly nothing bold and brazen like Tago Mago or as snappy as Ege Bamyasi. There's nothing extremely distinctive about these instrumentals at all. When I half-listen to the album, it comes off as a blur albeit a surprisingly calming one. Really, when it comes right down to it, this is early ambient music. Yup, that's the same genre all those studio gnomes would start producing by the barrel starting in the early '90s. The difference is that Can gives equal preference to guitars and synthesizers. I might have felt underwhelmed at first, but then I actually listened to it closely and quickly became warmer to it. There's a lot of interesting stuff going on here! One reason my half-listening experience with Future Days has been pleasurable is that it never gets monotonous. That's something the vast majority of these studio gnomes haven't figured out. Really, I'd rather scramble my brains with an egg beater than listen to most of their stuff. But you can probably hate �trance� and still like Future Days. In fact, I know you can! As proto-trance would have it, there are only four songs on this 40-minute album. And one of them is three minutes long. It starts with the title track, a very mellow song. If you've been listening to Can's discography in order, you'll probably be surprised that they've started writing music that can be described as �mellow.� (And they'll go even further down that route in the albums released immediately after this.) It's nine-minutes long. Take a close listen to it, and I hope you'll agree that it never grows tiresome. I tend to have a very low tolerance for repetitive music... Even though the same general groove continues throughout the track, the song is far from repetitive. They're changing the textures in such an evolving fashion that you might not notice. It's the sort of song that you'll lose yourself in. Isn't that what music was supposed to do all along? And then there's the 20-minute �Bel-Air,� which closes the album. As I said about the title track, that's something you can lose yourself in. Though it's 20 minutes, it's actually a conglomeration of a bunch of littler songs. A few of them features fantastic vocal melodies! All of them are notable for those utterly trance-inducing grooves! This album has me feeling all goosey. Check it out! There are two types of people in this world: People who like Can and the people who don't. If you haven't picked a side yet, go listen to Tago Mago and Future Days and get back with me. If you have picked a side but have chosen against jumping on the loony bus ride with me, then stop reading this review and go listen to Madonna, you freaking loser! But the rest of us are going to have to get a load of this album! ... IT'S WEIRD!!! But first, let's talk about history. 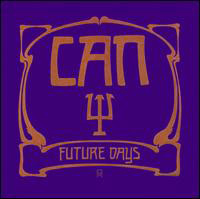 Can went through quite a change-up between this release and their previous work, Future Days. The big event was lead singer Damo Suzuki left the band to become a Jehovah's Witness. Why on earth becoming a Jehovah's Witness would require you to leave a rock band?.... But anyway, so long Suzuki! The keyboardist and guitarist take over the vocals, but they're obviously not nearly as good, because I can sometimes understand them... What gives??? They begin the album with �Dizzy Dizzy.� It's a very raspy and maniacal sort of song with vocals to match. It consists of a very tight groove (with a neat echo effect in those drums! ), and a violinist playing a bouncy groove in the background. This goes on for nearly six minutes! However, it's pretty well-known in the world that Can was capable of doing magic... Despite the severe repetitive-quality of that song, they know exactly what to do to make it seem fresh and vibrant throughout. So, this album is off to quite a good start. But even better is the follow up, �Come Sta, La Luna,� which is the craziest songs on here. The vocal melody is this weird thing that can be likened to pagans singing to the moon! The groove is even more muted and tight than it was on �Dizzy Dizzy.� And the rest of the instrumentation is just all over the place. The keyboards go nuts, playing something on the border of jazz and just playing random notes. The sound effects run rampant. 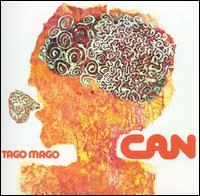 They're not quite as insane as they were on Tago Mago to be sure, but that's sort of a difficult album to beat! I can love �Dizzy Dizzy� and �Come Sta, La Luna� enough to worship them, but Can does end up losing me with �Splash.� That's a jazz-fusion jam that does something I hadn't heard Can do for awhile: it's aimless and emotionless. It *is*, however, much louder than the other songs, and I do like that weird keyboard they throw in. But that was a bit of a disappointment considering the rest of these songs. Yes, this is a pretty dang good album, and it's usually mentioned in the same breath as Future Days among Can fans. Nonetheless, this was a step down for them... Some say that was due to the departure of Suzuki, but I have a sneaking suspicion that Suzuki had nothing to do with it. 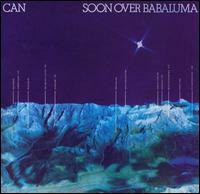 If I just came up with a string of albums like Can did in the early '70s, I might not even be functional much less coming up with something as interesting as Soon Over Babaluma. It's not their best album, but if you liked their others, you'll most likely love Soon Over Babaluma so much that you can eat it. It's certainly understandable that many Can fans have felt a little betrayed by this release, since they're no longer pioneering new styles. In a big way, Landed marks the moment when they were starting to finally ground themselves. Well, listening to this album, they still had a long ways to go. This isn't a Barry Manilow album or anything! However, some of these songs begin approach something like pop. But you know, that fact doesn't bother me. Can obviously had run out of revolutionary ideas (you know, nobody can come out with endless stings of revolutionary albums), and they decided to steer toward something that perhaps average people would have a better chance of enjoying. If nothing else, an album like Landed would inspire first-time Can listeners to perhaps delve into something as deeply interesting and inspiring as Tago Mago and Future Days, which they might not know what to make of at first listen. The album opener �Full Moon on the Highway� would have made an excellent new wave pop tune. Those quickly paced guitars are playing a normal, mainstream riff, except they get pretty fuzzy and sloppy at the end. Maybe if they cleaned up the guitars and got rid of that demented chorus with those Muppets-like voices, it would have been a massive new wave hit! But that song is delightful from beginning to end. �Half Past One� starts out sounding like a bossa nova, but of course they couldn't keep a normal vibe going for even one second. Surely, it's weird, but not nearly as compelling as some of their other stuff � it almost seems like a weaker version of Future Days in many respects. They're trying hard to be weird, but they're just not creating those fireworks in my ears like they had been capable of. It even grows boring in the middle... But there are enough ideas inside to keep it mildly interesting overall. I really enjoy �Hunters and Collectors� apart from a very uneventful mid-section where they seemed to have run out of weird ideas to keep it going. But until then, it's a blast. Once again, with a little tweaking, it would have made a pretty formidable new wave hit a few years later... Just take a listen to that rhythm section... that's pure NEW WAVE for you. This song even has a piano riff... No wonder so many of their fans felt betrayed by this release! A PIANO RIFF? And the album closes with a 13-minute monstrosity called �Unfinished.� Some listeners have found it tedious, but I sort of think it's cool. It's just a lot of creepy, ambient waves of sounds... It's the spitting image of atmospheric video game music for Myst-like adventure games, and at least it's really interesting that Can was able to predict such music. Just for the slightly psychotic atmosphere, I'm willing to give it my thumbs up, but they really should have worked a little harder on it... It had a lot of potential, but they just didn't have enough momentum going to keep it sustained that long. The first minute of it is pretty great, but for most of the rest of it starts to grow tedious. Some musical sections seem to drag on too long and they're sometimes even predictable. It still would have worked as video game music since it is indeed atmospheric and is pretty successful at creating a mood... and you never listen directly to that stuff anyway. I can't imagine why people who like Can would want to completely snub this record. As I said earlier, it's nowhere near as challenging or entertaining as their classic albums, but this has enough merits on its own to be worth a listen once a year or so. Can were nothing if they weren't an experimental group. 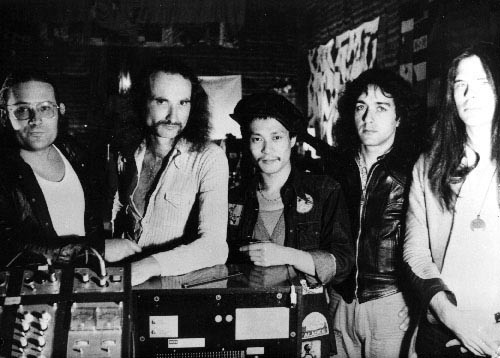 They've been said to have helped inspire or even created genres of music such as punk, new wave, world-beat, disco... basically anything new after the mid '70s. The sorts of grooves they worked out in their albums were amazing, but they still had plenty of tracks that were left unreleased for various reasons. Well, here's some of it! Most of this material stems from the Mooney days, which might disappoint some people. But there's still some interesting stuff there! If you salivate at the thought of owning an entire 70-minute album of unused outtakes taken from Can's illustrious career from 1969-1975, then you shouldn't hesitate getting this. Naturally, if you tried giving their classic albums Tago-Mago, Ege Bamyasi and Future Days a listen and it drove you crazy, then owning Unlimited Edition is just going to be worse. Casual fans will certainly have to think twice before getting it... obviously, they put most of their good stuff on the albums and developed them better. Many of these tracks just sound like they were jamming around trying to work on cool grooves that could be developed further. ...Of course that right there means that this has endless value to their fans. So, yeah! This is a Can outtakes album! I expected a ton of crazy old grooves, sound effects, funny solo instrumentalists and a mumbling lead singer, and that's exactly what I got! The only thing that caught me by surprise was that there was a lot more world music pandering in here than I thought there would be. If you scan the track listing, there are a number of tracks titled �Ethnological Forgery Series.� Those basically were examples of these guys finding some old world music groove and playing around with it. (And the world music tracks aren't limited to that... the beginning of �TV Spot� is a really funny example of one.) Many times, this would involve a remarkably good drum-beat, some xylophone-type instruments and a wobbly horn that bends around like a bagpipe. It's never very obvious exactly which part of the world they're extracting these grooves, but I've been getting vibes from South America (mostly), Asia and Africa. �Cutaway� is a 17-minute sound effects track that has a really hilarious beginning that's sort of a comical Medieval song. Unfortunately, it's otherwise pretty scattershot... at one point, it is just reduced to hissing noises. But surely the track is still worth listening to for the cool stuff... the rest of it is interesting in an almost academic sense. You get a better idea of how Can worked up a groove and how they were able to improvise a bit. �Ibis� is a neat song that reminds me of a Mahavishnu Orchestra jam... except Mahavishnu Orchestra weren't this creepy. You might also be surprised to hear �Connection,� a funky tune that sounds ... er ... somewhat normal! It has a hooky melody and a conventional guitar solo in the middle. I know... weird, right? You could say that writing this review was a big waste of time on my part, because nothing I'm going to write is going to influence anyone's buying decisions. If you're the type of person (weirdo) interested in buying a Can outtakes album, then you'll get it regardless of what's written here in this Internet space. 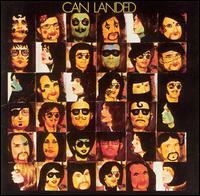 If you're normal, then you probably don't even have Can's masterpieces much less would you consider getting an album of their rejects. In case there's actually someone on the fence about this, then get this album! If you appreciate Can's weird grooves and knack for experimentalism, then you'll certainly want to hear Unlimited Edition. At this point in their career, Can seemed keen on simplifying their sound. Never before have they come out with something this accessible. That is to say, normal people will still not want to listen to this, unless they�re English. Weirdo nerd people, like me, might not even want to listen to this because it is not weird enough (or at least it�s a far cry away from their classic sound). ...If there actually exists someone in between those two groups, I guess this album is for you! To everyone�s surprise, Can actually performed one of these songs on Tops of the Pops. Yeah, seriously! They released �I Want More� as a single, and it managed to hit the Top 20 in the UK. People who liked listening to Can undoubtedly enjoyed the fact that they were really weird, really good, and nobody else listens to them. I wonder how many of them actually watched this performance. And I bet those who did were muttering �Judas� under their breath. But listening to the song, it really doesn�t seem like it should have been a hit. It�s a very tight rocker that borrows an old riff from the �50s, and a funk guitar groove from America. Every single band member takes the lead vocals at the exact same time, and they sort of chant. Some synthesizers come in and play around very accessibly. ...Er, doesn�t it sound a lot like Talking Heads circa 1978 to anybody else? ... It�s tough to say, but I wouldn�t be too surprised if old David Byrne didn�t use this as part of his launching pad. It�s a catchy song, for sure, but I�m not sure that even I would have bought it as a single. Though, it is tremendously accessible (for Can) and only three minutes long... I guess I�m glad that the English were crazy enough to listen to the single! The B-side of that single was �And More,� which is a straight funk instrumental. If it wasn�t for the whispered chants that repeat all throughout the track, you might have thought that you accidentally turned on an actual funk album! Well, they play the song very well... the drums are exciting, and that rubbery guitar is pure ear candy from beginning to end. It�s also quite good to get your booty wiggling. �Cascade Waltz� is a very curious track, although that does seem to have a problem getting its feet off the ground. The beginning of it reminds me of a soundtrack from an old Mario soundtrack... and it has a distinct tropical feel with some Hawaiian-style slide guitar. Of course, they play it weirdly, but it�s very easy to just want to sit back and relax with it... but they start bringing in some funny synthesizers just to mess with our minds! �Babylonian Pearl� is almost normal and it has a really wicked groove. Surely, it�s closer to a regular pop song as Can ever did, but they still can�t get themselves to sing normally with it, and their instrumentals still seem like they�re in left-field somewhere. Well, that�s a cool song! They rather extensively try on the underpants of reggae throughout this, and I don�t really care for either of them. They do a nice job creating reggae grooves, but both songs sound like they were overextended far past their expiration date, and they�re not bizarre enough to thrill the nerd in me. �Laugh Till You Die, Live Till You Cry� might make a really strange dance groove, considering their reggae rhythm is incredibly stiff, but I find the whole composition to be rather weak. �Flow Motion� is 10 minutes long (it shouldn�t have been half as long)... it�s still far from �normal� considering the odd keyboard fluttering all throughout this, but I find its plodding pace to be particularly tedious. 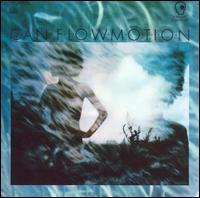 Overall, I only mildly delighted in some of these songs, so Flow Motion is an extraordinarily weak album from them. They were dumbing down their style a bit for this release, which I suppose means that average people would be more apt to enjoying this ... but anyone who would even *think* of listening to something like Can is deemed non-average just for having that thought. So, you see, I understand how many of their fans felt a bit miffed at the group for doing this.